The Center for Advanced Cardiology is a department of the Center for Advanced Heart Failure at Memorial Hermann Heart and Vascular Institute-Texas Medical Center and is located on the campus of Memorial Hermann-Sugarland. . Affiliated Interventional Cardiologists are members of the faculty at McGovern Medical School at UTHealth and specialize in the detection, treatment and prevention of diseases of the heart. Besides heart failure, the clinic also treats: heart attacks, valve defects, stroke, atherosclerosis (narrowed arteries), arrhythmia (irregular heartbeats), cardiomyopathy (inflexible or enlarged hearts), and clogged vessels in the body beyond the heart and brain, known as peripheral vascular disease (PVD). Common conditions seen in the clinic include congenital heart defects, coronary artery disease and heart rhythm disorders. 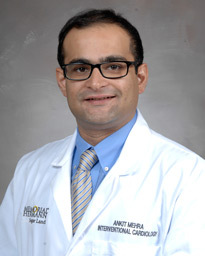 Dr. Ankit Mehra, an assistant professor at UTPhysicians, is board certified in Internal medicine, Echocardiography, Cardiovascular disease and Interventional cardiology. He practices general cardiology along with a special interest in intervention cardiology and structural heart disease. Dr. Sasrutha Wickramasinghe, better known to his patients as “Dr. 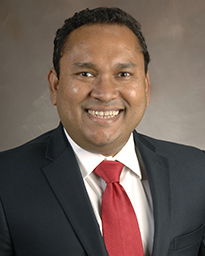 Rasi,” an assistant professor at UTPhysicians, is board certified in Internal Medicine, Cardiovascular Diseases, and Echocardiography. His clinical interests include coronary artery disease, structural heart disease, including transcatheter valve replacement (TAVR), as well as peripheral arterial and venous reflux disease. The Center for Advanced Cardiology delivers access to comprehensive cardiovascular care conveniently in your neighborhood with access to the world-renowned Center for Advanced Heart Failure at Memorial Hermann Heart and Vascular Institute-Texas Medical Center.